Offering you a complete choice of products which include jrk's anti coff syrup. 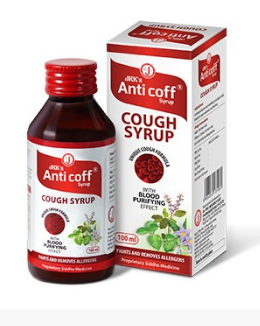 Controlling dry & allergic cough. Beneficial in upper respiratory tract infections. Adults: 10 ml twice a day. There are no known contra-indications. Looking for “Anti Coff Syrup”?